Welcome to Amalfi Coast Resort Vacation Rental Properties! 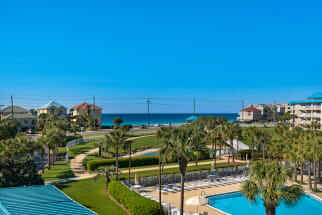 Emerald Coast by Owner is proud to offer you a variety of properties throughout the complex. While you stay here, we've got everything you need! If you're worried about groceries, there's a Walmart and a Publix right up the road! Activity wise, some of the most popular things to do include parasailing, laying on the beach, deep sea fishing, jet ski rentals, boat tourism and so much more! There is something for everyone in your group to enjoy down here. As for food, Destin is known for being a prime seafood spot with some delicious eats and great service. A few places we recommend you try are Pompano Joe's, a lively scene with great Caribbean seafood and a snack bar. A fun place to go is McGuire's Irish Pub, a delicious eatery known for its great drinks and a good time. As for the resort itself, it comes with a convenient location, amazing views, a variety of pools and many other amenities. Some residents have called it the best beach condominium ever. Why would you stay anywhere else Make the most of your trip this year! Now is the perfect time to book your next vacation rental at Emerald Coast by Owner for your trip to Amalfi Coast Resort. Start planning your vacation now! 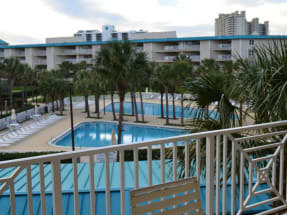 When you book with Emerald Coast by Owner, we put you in direct contact with the property owners. Booking direct with the owner makes for a more enjoyable booking experience and assures that you are not paying any unnecessary fees. Contact one of our Amalfi Coast owners today and book online!